Q; What is the AVPA? 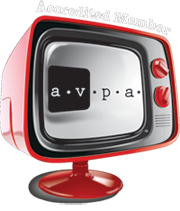 The Australian Video Producers Association is an organisation designed for all members of the industry. It has a fundamental goal to encourage & promote excellence in all areas of video production. Q; What does AVPA Accreditation mean? The Accreditation process includes an extensive review of the applicants work by an official review panel. Accreditation cannot be purchased, it must be earned and proves a high level of expertise for the successful applicant. Only Accredited members may use the AVPA Logo and AVPA name on any advertising or promotional material. This provides potential clients with a high degree of confidence and security in the professionalism and capabilities of AVPA Accredited members. HDeVolution has attained Accreditation for both “Corporate” and “Special Event” services. A full explanation and proof of my Accreditation may be found at the AVPA website.